Designer drug mixtures popularized as “bath salts” often contain the synthetic cathinones 3,4 methylenedioxypyrovalerone (MDPV), mephedrone, and methylone in various combinations. 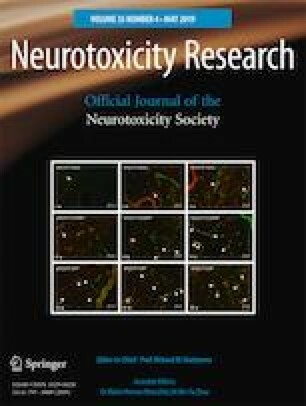 However, most preclinical investigations have only assessed the effects of individual bath salt constituents, and little is known about whether co-exposure to MDPV, mephedrone, and methylone produces significant neuropharmacological interactions. This study evaluated and compared how MDPV, mephedrone, and methylone influence discrete brain tissue dopamine (DA) levels and motor stimulant responses in mice when administered alone and as a ternary mixture. Male adolescent Swiss-Webster mice received intraperitoneal injections of saline or 1 or 10 mg/kg doses of MDPV, mephedrone, or methylone, or a cocktail of all three cathinones at doses of 1, 3.3, or 10 mg/kg each. The effect of each treatment on DA and DA metabolite levels in mesolimbic and nigrostriatal brain tissue was quantified 15 min after a single exposure using HPLC-ECD. Additionally, locomotor activity was recorded in mice after acute (day 1) and chronic intermittent (day 7) dosing. MDPV, mephedrone, and methylone produced dose-related increases in mesolimbic and nigrostriatal DA levels that were significantly enhanced following their co-administration. In addition, mice treated with the cathinone cocktail displayed decreased locomotor activity on day 1 that was exacerbated by day 7 and not observed with any of the drugs alone. Our findings demonstrate a significant enhanced effect of MDPV, mephedrone, and methylone on both DA, and these effects on DA result in significant alterations in locomotor activity. The online version of this article ( https://doi.org/10.1007/s12640-019-00020-2) contains supplementary material, which is available to authorized users. The authors would like to thank Katherine Burgess for her technical assistance. This work was supported by the East Tennessee State University Research Development Committee Major Grant Program and the National Institutes of Health grant C06RR0306551. The experimental protocol was approved by the ETSU University committee on animal care (UCAC) and followed the National Institute of health guidelines for the care and use of laboratory animals.